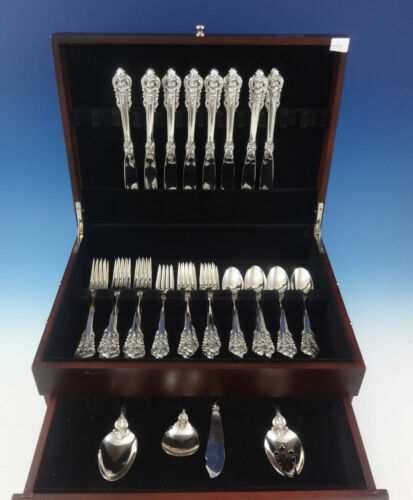 $19.99 (1 bid) 6 King Richard Sterling Silver 7 1/4” Dinner Forks Towle Gorgeous Condition! 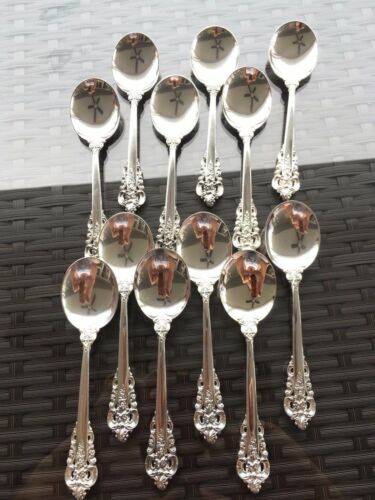 $9.95 (1 bid) Vintage 1940's Lunt "Treasure" Sterling Silver Spoons (2.7 Oz-77 Gms) Beauties! 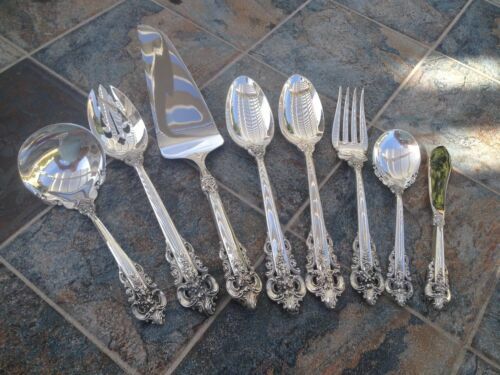 $9.25 Sugar Spoon Round Bowl Empress Pattern International Silverplate Deepsilver 6"
Buy: $20.0 Signed Towle FRENCH PROVINCIAL Sterling Silver Cocktail or Seafood Fork 5 3/8"
Buy: $210.0 Gorham Virginiana Sterling Pierced Salad Serving Fork - 9 1/2" 118g. No Mono.